Went up to Leaviit lake to get some ski turns in. 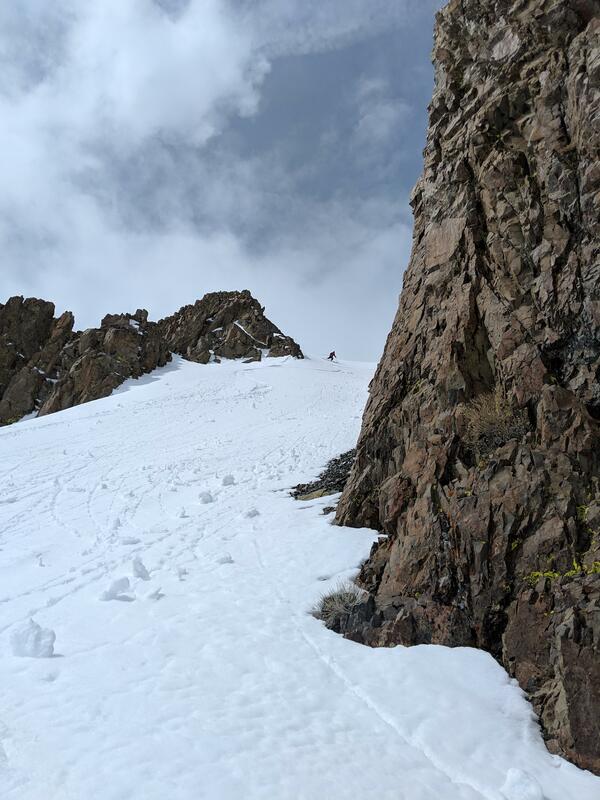 Skinned up a NE face to ski the rocky chutes just north of the Lake. The Snow surface was soft due to the warm temps. We skied the wider and less steep slope. Some roller balls gave chase but nothing substantial sluffed. Skinned up again and looked to ski the more narrow steeper chute. 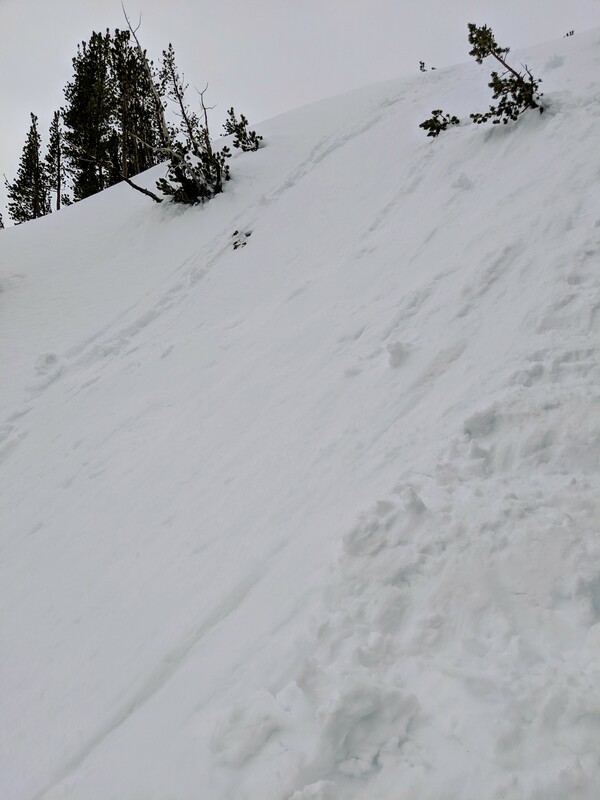 On our way to check out or line, a ski cut caused a large loose wet to slide the length of the chute. we backtracked and skied a wide-open mellow face back down. Temps were above freezing. We had sporadic amounts of precip. Some frozen some not. The air felt very humid and left me skinning up in a T shirt.